How can pharma shift its strategy to make sure they are still engaging with no-see physicians? It’s tough to be a pharma sales representative today. Demands from corporate are increasing while access to physicians is decreasing. A pharma sales representative is often not even allowed on hospital/office premises. When they do get access, it’s typically just to drop off samples and their face time is limited to the time it takes for the physician to sign her name. Digital channels offer the opportunity to bridge the gap between sales calls and drive engagement with these difficult-to-reach HCPs. 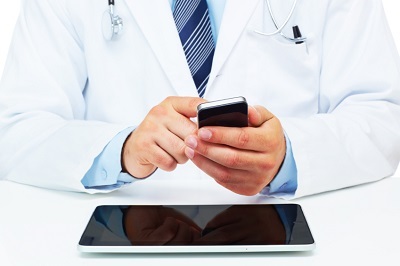 While representatives increasingly face challenges getting in the building or beyond the waiting room, digital can make it into the examination room and doctor’s lounge through EMRs, digital wallboards, and mobile devices. Through customization of messaging and list-match targeting, specific personalized messages can be delivered through digital channels such as email, banners, social and contextual content recommendations. The real power of digital is the ability to create customized messages that target different providers’ key challenges at each phase of the buying cycle. Who on your target list is most influenced by safety concerns? How about efficacy? How about access and price? While most of pharma is not yet up to the challenge of true 1:1 marketing, any brand can segment their targets into a few distinct buckets and message in a more personalized, relevant way using the digital tools at their disposal today.